What's black and white and loved on every continent? A zebra, of course! 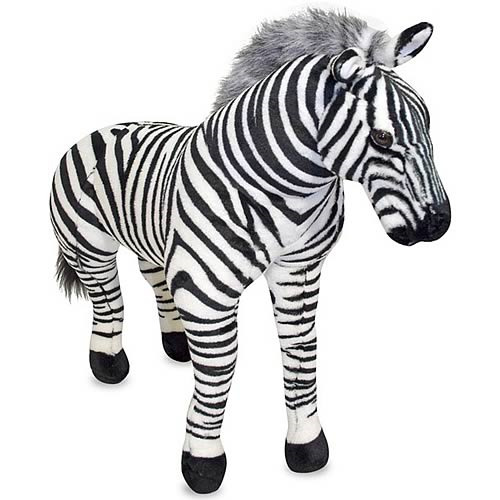 Nearly three feet tall and over three feet long, this beautifully constructed and detailed zebra has dramatic markings, an affectionate expression and a fuzzy mane! Measures about 40 1/2-inches long x 28-inches tall. Ages 3 and up.